This Dimensional Magic ring craft is one of the easiest you'll ever do – you just need simple materials and it takes less than 10 minutes to do. I've been obsessed with Martha Stewart Microbeads lately. 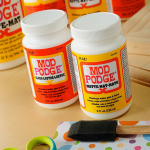 I think they are the most wonderful thing since Mod Podge, and the best part is that you can use them together. That's what I did with this unique ring craft! After the bangles I made, I decided it was time to branch into other forms of jewelry – meaning, a ring craft. Basically the question is “what can I sprinkle beads on?” I had a few ring blanks in my stash and I also have a boatload of Dimensional Magic. Since the ring blanks had wells to put things into, the beads magically sprinkled themselves in there. Okay, not really, I might have helped. These rings took just a few minutes to make and are great gifts. Here's how I did them. You are going to laugh at me for two reasons. One, this is the simplest tutorial I will ever feature here at Mod Podge Rocks. Two, I used my X-Acto knife case to hold the ring blanks. Do you find yourself using whatever you have around to complete a project? It was either this or get one of the dogs to hold the blank in her paws. To start, put a thin layer of Dimensional Magic into the well of the ring blank. Spread around to cover the bottom but don't fill the well. Sprinkle the beads on top. Yes, those are beads going into the X-Acto knife case, which I didn't really think through before I did it. Anyhoo, sprinkle one layer of beads, add another layer of Dimensional Magic and sprinkle another layer. Then push your flower embellishment down into the Dimensional Magic. That's all there is to this ring craft. The only difference with the dark blue ring versus the turquoise ring is that on the dark blue ring I put a final layer of Dimensional Magic on top after the beads had settled to see what it would look like. I actually prefer the turquoise ring with the texture of beads on top, though I still like the dark blue ring because it's shiny and smooth. Leave these to dry overnight – make sure they are not under a fan or the Dimensional Magic will crack. In the morning you will have two gorgeous rings! 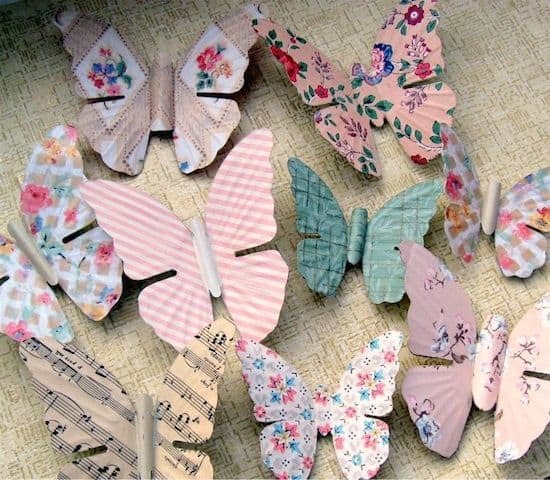 You can make a lot of these at one time, and they are great for gifts or party favors. 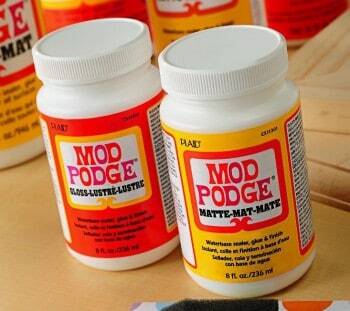 Enjoy making one of the easiest Mod Podge projects ever. I'm off to see what additional trouble I can cause with my favorite microbeads. Great tutorial. I am new to your blog, but I just wanted to by and say that you are one of the few bloggers that makes me laugh out loud most of the time. I craft just like you (i.e. doing something to get the project done without thinking it through). Have a great day! Oh, I love these! Turquoise micro beads….hmmmmm. I may have to buy myself a set of these beads. You’ve obviously been having too much fun with them. I heart these Amy! Those beads look like too much fun. And yes, I use whatever I have–my dog is no help to me during crafting–lol! Very cute! I was curious about the ring that you didn’t put Dimensional Magic on top, do some of the beads fall off then? 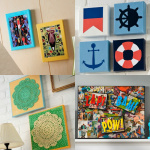 I haven’t used Dimensional Magic but will definitely have to try it (on my list next time I visit Hobby Lobby). Looks like a lot of fun! Amy these are so cool!! I’m going to have to get my hands on some dimensional magic, for sure! Where was I when they invented that product???? I could have used it so many times over. Christmas springs to mind, but with Eater on the way in, I may have to go for that pretty soon. THanks for the tip! Thanks everyone! Shirley, the ring w/o DM on the top probably needs to be shaken over a garbage can since some of the beads will fall off – but it my case, most of them stuck, so it was just a few. The remainer went into my X-Acto knife holder. LOL! oooh, those beads look awesome. I actually made a little pendant yesterday with D.Magic and a bezel (?) pendant from Hobby Lobby. I needed the pendant to lie flat and it wouldn’t b/c of the bail on top, so I placed it on top of a McCormick Mint Extract box with the pendant lying flat and the bail hanging off the edge. I giggled when I saw the pics I took, thinking how we crafters will improvise to make it all work. 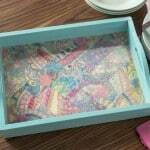 Love your exacto knife case! That is pretty cool. Let the ideas begin! This is one idea I wish I had thought of! Love it! I am glad to see I am not the only person who doesn’t think it through before I start to pour something! That is too funny and it gives me hope that I CAN create!! Love the bangles!! Can’t wait to “Stumble Upon” later. Amy this is an amazing project and it makes me want to try it! I just adore you. 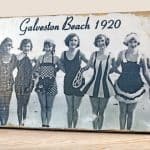 Love this project, I have seen those beads but haven’t ventured out to try them, nice work! I love those beads too, and this is such a great way to turn them into jewelry! Simply love! Visiting from Tip Junkie…but following since forever! Will be truing this soon! Woahhhh. What a cool idea! I love it! How cute! I never thought of using glitter and mod podge. Great idea! Love these! Those microbeads are so cool! I think I need to get some of these beads. I have been wanted to get some of this dimensional magic forever. I ahve been to three stores and no one carries it. I guess I am going to have to get it online b/c I simply have to try this ring. I love it! LOVE THIS!!!!!!!!!!! i am going to make spring rings for all my bff’s. thanks for the idear!! So cute! I’m having trouble finding Dimensional Magic too, will have to get it online. Too many awesome projects around that use it! Where did you buy the rings? The bigger one is especially cute! Hi Hannah! You can get ring blanks at the craft stores or on Etsy! Love these. How water phobic are these – can they be worn in the shower? Also, would this idea work using candy sprinkles? Yes, I think it would be really fun using candy sprinkles! I’d add more Dimensional Magic over the top to seal it.